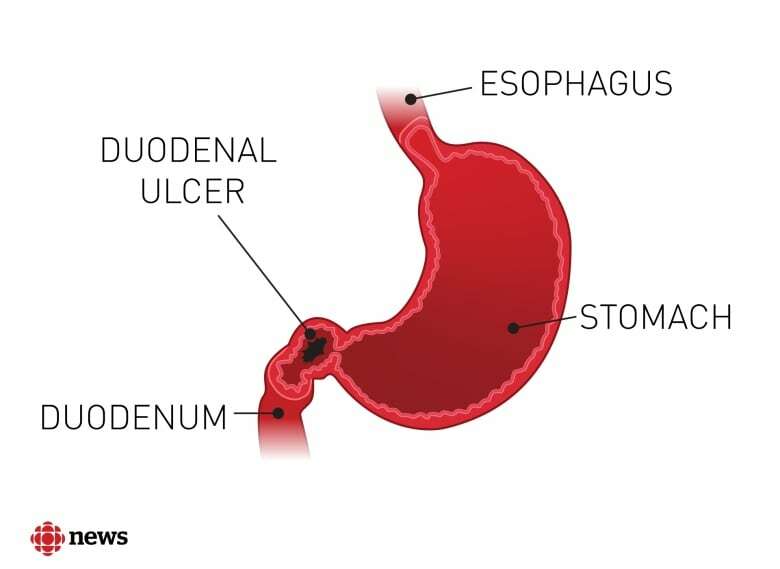 Jeffrey Baglot, now 33, developed a stomach ulcer that later ruptured after he was prescribed a "powerful" drug to help treat his Crohn's disease symptoms. A B.C. man who will be "totally disabled" for the rest of his life due to complications from drug he was prescribed at an Abbotsford hospital has won a lawsuit against the doctor who gave him the medication. 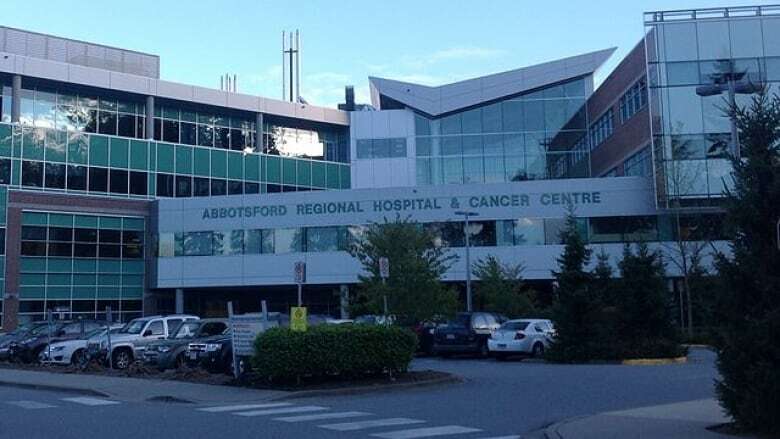 Jeffrey Baglot was prescribed a "powerful" anti-inflammatory drug after he was admitted to Abbotsford Regional Hospital for stomach pain related to his Crohn's disease on July 22, 2011. Within days, he developed an ulcer at the beginning of his small intestine. The two-centimetre ulcer ultimately ruptured and needed to be surgically repaired. Baglot ended up in another hospital for more than two months. Baglot, now 33, thought he was going to die. "My body was shutting down," he testified in B.C. Supreme Court last year. Baglot sued the doctor who prescribed him the drug, Dr. Clasina Fourie, in 2013. She was ordered to pay $888,000 in damages on Jan. 31. Justice Diane Cheryl MacDonald said Fourie's "negligence has had a devastating impact on Mr. Baglot's life." "Today Mr. Baglot is totally disabled, homebound and isolated. Without the prescribing error, I find that it is more likely than not that Mr. Baglot would have continued to have Crohn's disease but that he would have worked and been a contributing member of society," MacDonald said. Baglot told emergency room staff his stomach pain was extreme — at a "9-10" — when he arrived at the Abbotsford hospital. He'd long lived with Crohn's and had been to different hospitals in Metro Vancouver for similar issues before. In his testimony, he said he expected to stay in hospital for a night or two before heading home as usual. Baglot started "spiralling down" after he started taking the ketorolac, according to the B.C. Supreme Court judgment. He requested a transfer to Royal Columbian Hospital in New Westminster and doctors there found his ulcer on Aug. 1, 2011. The ulcer hadn't shown up in ultrasounds at CT scans a few days earlier. It was later determined to have been caused by the ketorolac. Days after having the ulcer surgically repaired, Baglot started to bleed internally and ended up in the intensive care unit. He needed multiple blood transfusions and was in and out of consciousness. Baglot testified that he felt "face to face with mortality" in the ICU and only stayed awake because he was scared he wouldn't be able to say goodbye to his sister, who wasn't present, if he fell asleep and didn't wake up. He was ultimately discharged from hospital on Sept. 12 — 53 days after he was admitted to Abbotsford Regional. ​Baglot testified that his life changed entirely after the experience. He's on new medication for his Crohn's and hasn't had flare-ups, but he is often in "debilitating pain" and relies on his mother for day-to-day tasks. He also lives with post-traumatic stress disorder and Justice MacDonald said there is "no prospect" he'll be able to work in the forseeable future. He regularly takes prescribed opioids to cope with his pain and has suffered from withdrawal symptoms since his dosage was lowered. Fourie admitted her liability before the trial began, conceding she owed Baglot a duty of care as his doctor and failed him. More than a dozen doctors, health-care experts and and economists from across Canada and the United States testified during the trial. The judge found Fourie was responsible for all of Baglot's injuries and emotional trauma, aside from his pre-existing Crohn's. Most of the $888,000 in damages are for loss of future earning capacity and the future cost of Baglot's health-care. Baglot's lawyer, Bruce Lemer, who has worked in law for nearly 40 years and specializes in medical malpractice cases, said the case is unusual. "There are not that many cases coming to court that have injuries similar to this [with] the aftermath of the injuries or the length of hospitalization," Lemer said. "This wasn't just a sore neck or a bump on the knee."